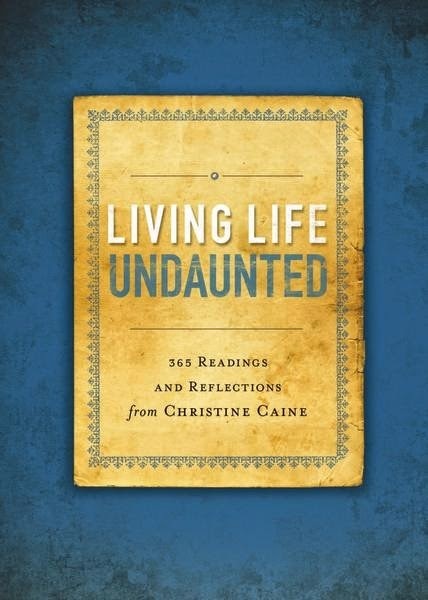 From bestselling author Christine Caine, Living Life Undaunted provides a daily format for people who desire to reflect deeply on key stories, thoughts, and principles from her bestselling book Undaunted and other inspirational writings. Here are 365 thought-provoking devotions culled from the spiritually challenging words of acclaimed speaker and advocate Christine Caine. Including an introduction by the author, these short selections offer daily wisdom, inspiration, and companionship. The daily readings that encourage readers to do what God calls them to do are compiled from Undaunted and other inspirational writings from Christine Caine. Perfect as a meaningful gift for a friend or for those who desire a devotional book with a targeted inspirational thought, Living Life Undaunted is the ideal combination of deep yet digestible wisdom. Christine is a lover of Jesus, wife to Nick, and mum to Catie and Sophie. She travels the globe preaching, teaching, and advocating for justice. Powered by hot, extra-dry, skinny, cappuccinos, Christine is a lover of words who speaks too fast, talks too much, and also writes them down. An author of five times over, her most recent book is UNDAUNTED. She and her husband Nick have also founded The A21 Campaign, an anti-human trafficking organization that fights slavery around the globe. 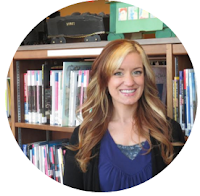 Christine has a heart for freeing captives, both physically and spiritually, but ultimately it comes back to her primary focus: building the Church. If you've never read or heard Christine Caine, then you are definitely missing out! She is no stranger to James River and I have had the pleasure of hearing her speak for several years now. She is witty, hilarious, wise, and has a serious anointing upon her that tells you exactly what you need to hear in a way that just captivates you and makes you listen. Christine Caine and Priscilla Shire are my most favorite inspirational speakers of this day, and if you have never heard or read them, then you need to stop reading this right now and go to the store and get yourself some blessin'! Whew. So as you can tell, I love Christine Caine! The woman is blessed with a gift and uses it to its full ability. This book is the devotional companion to her book, Undaunted, where we get a glimpse into where Caine came from and how she came to be who she is today. I won't go too in-depth about that because I plan on reviewing it, but I'll just tell you that if you're questioning your purpose in life in the slightest bit, you need to grab that book! I was so excited to see that Living Life Undaunted was available for me to review! I've been using reading it to my salon girls at work and it's been so inspiring and hopeful for us. A lot of times, devotionals leave you wanting more, but there is still plenty that you are able to reflect on and apply to your every day life. Her devotionals are practical and applicable, and I like that. Everything is divided by the day of the year, so you can keep your place and be sure you don't miss out. A lot of times, devotional books can get repetitive or mundane, but Living Life Undaunted does not. I would recommend this for everyone! Christine Caine is very real and inspirational, and you won't be sorry. But don't stop here! Be sure to hear her speak or check out her other books as well, I promise you will not be disappointed!